The BC Alumni Association of Orange County is excited to provide another networking opportunity outside of the typical after work drinks, the Boston College Coffee Club. 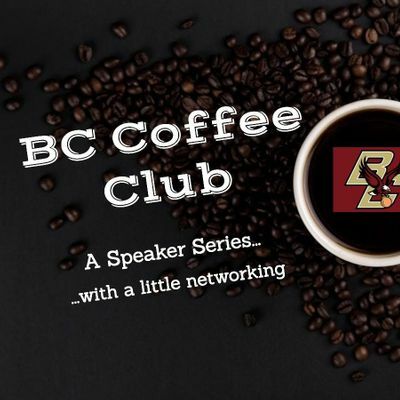 The BC Coffee Club events will take place on Friday mornings and will often include a fellow Eagle sharing their story or information about a particular field that they are a thought leader in. We are hoping you will leave these events energized for the rest of your day, be that from the people you meet or the free coffee. Mike Jirout is an investor in and advisor to early stage ventures, as well as a serial entrepreneur. His most recent company, Ship Mate, participated in Startup UCLA and Amplify LA as a portfolio company. The Ship Mate mobile application grew to millions of downloads and became the Cruise Industry's most popular mobile community. The company was acquired by World Travel Holdings in November 2013. Mike got his undergraduate degree from Boston College and graduated the full-time UCLA Anderson program in 2010. He's now working on a new startup from his home in Laguna Niguel.